Hi Everyone, in this post we will see how we can create our own Android Custom Launcher in Android Studio. Android Launchers are applications which replaces your default android skin launcher which your OEM provided with your Android phone. There are lots of Custom Launchers available on Google Play. 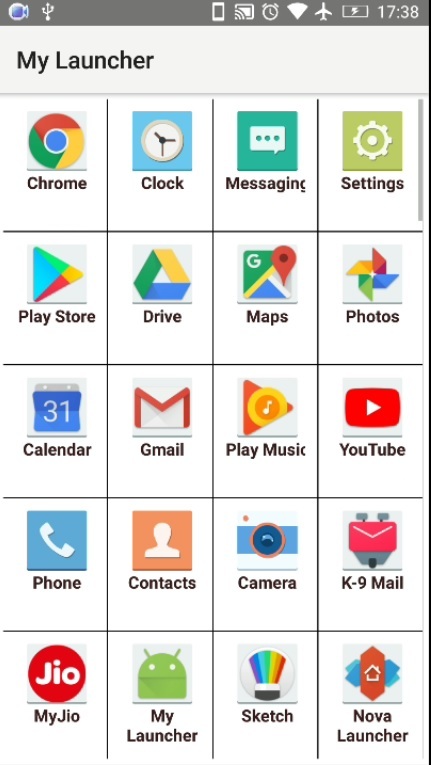 Most famous is of course Nova Launcher. But let’s see how we can create our own Android Launcher in Android Studio. Create a new project in Android Studio with your desired application name and Package name. In your res > layout folder create and edit following layout files. 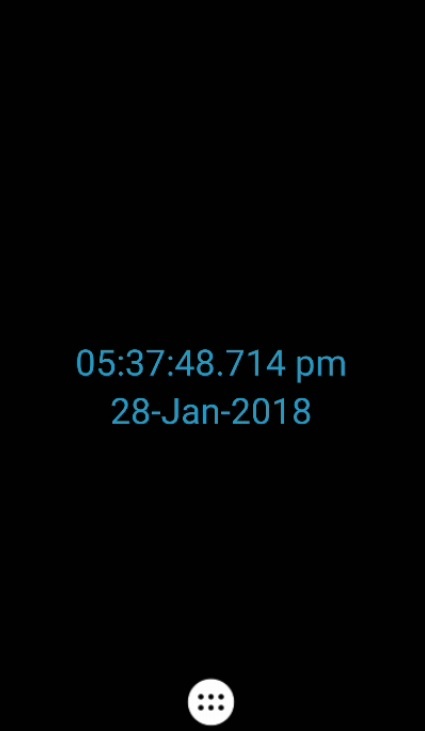 This layout will simply contain TextViews to display current Date and time, Android button for opening the app drawer. This will contain Android GridView to display all the application icon. Download the following icon drawer icon and save it in your res > drawable folder. It is just a png image. * Created by H on 1/28/2018. This will be Home page of our Android Launcher. This will display current Time using the calendar Instance and convert it into custom format using SimpleDateFormat. This will be our Application drawer activity of Android Launcher. Application will be displayed in a Grid format (Android GridView) of 4 columns. On pressing the button from our first activity, this will display all the application which are present in a Android Gridview format. That’s all. Happy Coding!